Pembroke Dock is celebrating its bicentenary this year. 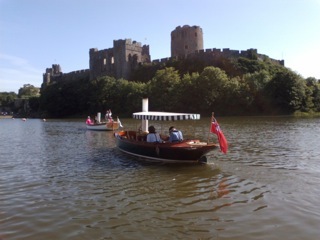 The West Wales Maritime Heritage Society, of Pembroke Dock are celebrating the ex Navel Dockyard's bicentenary this year part of this is a parade of sail in the entrance of Cosheston Pill on 9 August 2014 rendezvous 15.30 hrs. They would really like a steam boat or two to join the parade of sail if at all possible. and then have a fun cruise towards Lawrenny. at paul.miller4@virgin.net or David James Honorary Secretary of the WWMHS on tel. 01646 683764.